Michigan Horse Therapy - Equine-Assisted Therapy — O.A.T.S. Visit the Contact page for directions if you don’t know how to find us! Offering Alternative Therapy with Smiles was founded as a 501(c)3 nonprofit organization in 1997. Located on 40 acres in Ortonville, Mich., O.A.T.S. 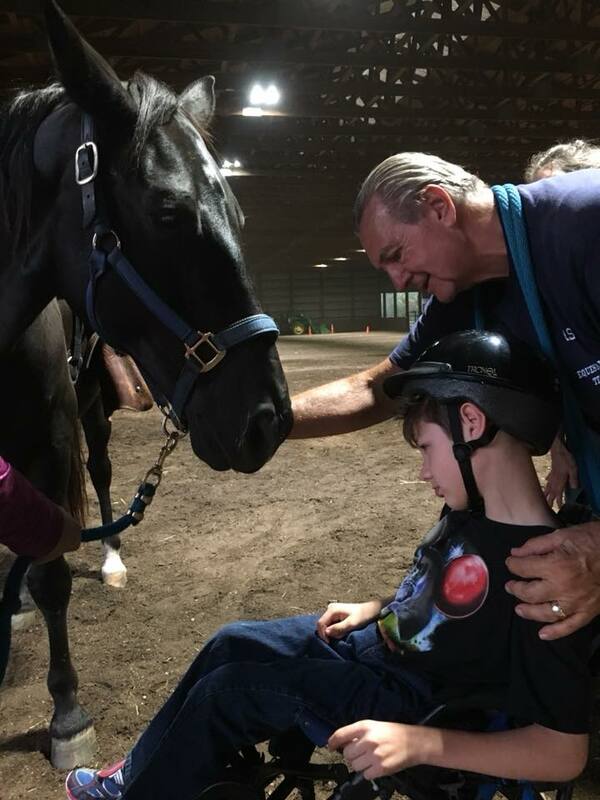 and its staff of caring, dedicated and enthusiastic instructors and volunteers provide equine-assisted therapy and a lot of smiles on a weekly basis, year-round, to more than 100 children and adults with a wide variety of physical and emotional disabilities. We also strive to engage our riders from the moment they arrive until they leave. Riders are asked to converse, recognize horses and volunteers by name, assist with untacking and leading horses out, notice their surroundings, participate in games and activities, test their limits and most of all, have fun and SMILE. Parents, caregivers, teachers and doctors are often surprised by what our riders can do! For parents, O.A.T.S. is a support system and a place to network and share information. For riders, it’s a place to be a “regular” kid through annual events like the Mane Event horse show and fair, holiday parties and our Smiles on Saddles day camp. We host unforgettable birthday parties to anyone interested. We also offer horse boarding and have a summer camp. Meet our certified equine therapy instructors. View a photo gallery of therapy horses and the amazing vets that care for them. Continual support from sponsors like you keeps our program running. Keep up with the weekly happenings at O.A.T.S. by visiting our Facebook profile. See new photos of our horses, riders, donkeys goats and pig (yes, we do have a therapy pig), as well as learn about upcoming events.